The Born Lakes are a group of small lakes in the White Clouds. You get there by Fourth of July road, which is South of Stanley some 47 miles, and past Redfish Lake off of Idaho Highway 75. From 75 you turn onto FS road 209, and drive about 10 miles. 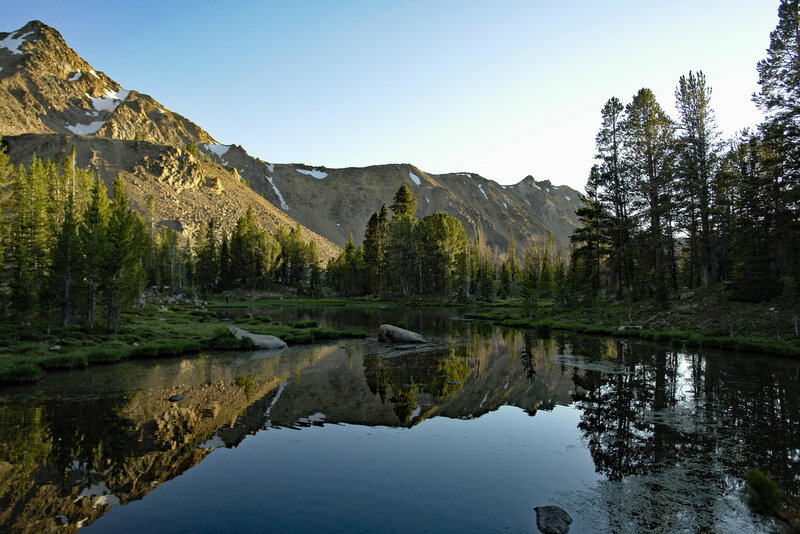 Its about a 1.5 mile to a fork in the trail near Fourth of July, You take the left hand branch, and hike to Ants Basin Divide overlooking Ants Basin. 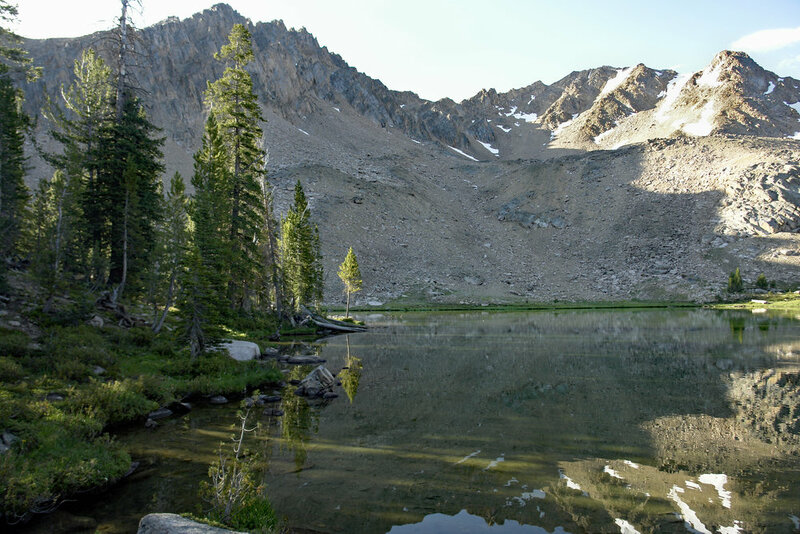 The Born Lakes are in Ants Basin, and are about 4 miles from the Divide. Above: Here is the group heading toward Born Lakes from the Ant Basin Divide. A few more miles to go. This is one of the Born Lakes at sunset. Its a pretty busy area, but there are lots of camping spots. Another nice Born Lake, very scenic. Kevin and Josh caught some nice fish, like this one.